4. Usage: Keep your products clean and free from moisture, protect the food from oxygen and bacterium, long-term preservation for your product, suitable for storage jewelry, jade, small button, pearls, jade and so on. 5. Thickness: 0.14mm/side (5.5 mil). 2. 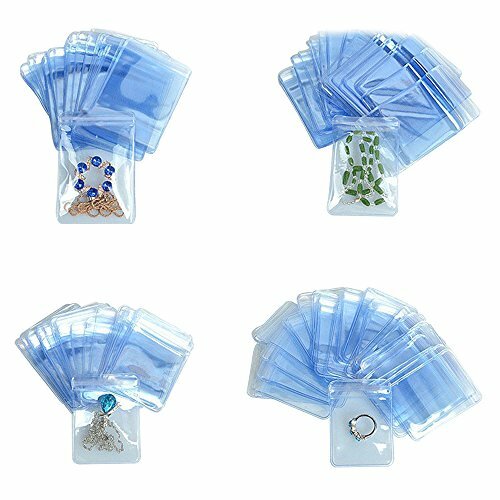 Strong PVC, not easy broken, moistureproof, prevent oxidation; Reclosable, the zip lock bag is easy closed and recycling. 3. Keep your products clean and free from moisture, protect the food from oxygen and bacterium, long-term preservation for your product. 4. This bag suitable for storage jewelry, jade, small button, pearls, jade and so on. 5. Size: 4x6cm (1.57x2.36 inch); Quantity: 100 Pieces; Thickness: 0.14mm/side (5.5 mil). If you have any questions about this product by MITOB, contact us by completing and submitting the form below. If you are looking for a specif part number, please include it with your message.